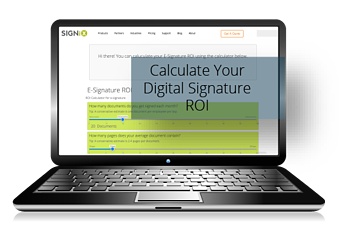 Use this online tool to calculate your digital signature ROI and learn how much you could be saving by switching to digital signature! If you're thinking about adopting a digital signature solution, it's important to know whether it's worth the investment. We've created this interactive calculator so that you can calculate the return on investment of digital signatures for your business.